ANSEL FARAJ is deep in production on DOCTOR MABUSE 2, but took a moment to share a photo with me of actor DANE CORRIGAN as one of the villains of the feature. 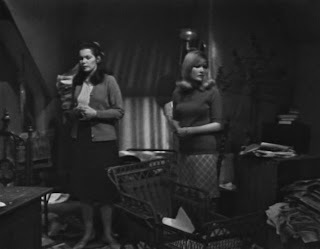 Ansel has been otherwise mum about the plot of the new film (though a few tidbits about the production have been appearing on various Twitter feeds in recent weeks,) but the first DOCTOR MABUSE included DARK SHADOWS alumni JERRY LACY, LARA PARKER and KATHRYN LEIGH SCOTT. Some (if not all) of them are set to return for the next film, and they will be joined by CHRISTOPHER PENNOCK. LISA RICHARDS returns to the role of Sabrina Jennings in THE ENEMY WITHIN, a Dark Shadows audio drama coming in July from BIG FINISH. CHRISTOPHER PENNOCK and NANCY BARRETT are also slated to be part of that production. KATHRYN LEIGH SCOTT announces a summer "blog tour" for her latest book, DOWN AND OUT IN BEVERLY HEELS. LARA PARKER is planning a book tour for her novel DARK SHADOWS: WOLF MOON RISING later this summer and is looking for possible venues. 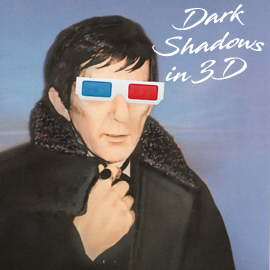 PATRICK McCRAY is halfway through the latest phase of THE DARK SHADOWS EXPERIMENT. And last but not least, today marks the anniversary of the debut of DARK SHADOWS back in 1966. 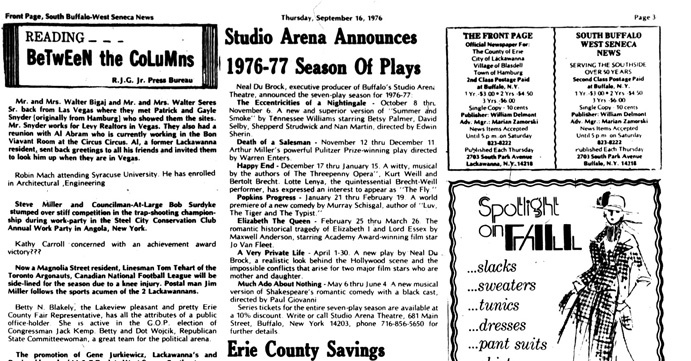 Here's how the show was presented to newspaper readers 47 years ago. 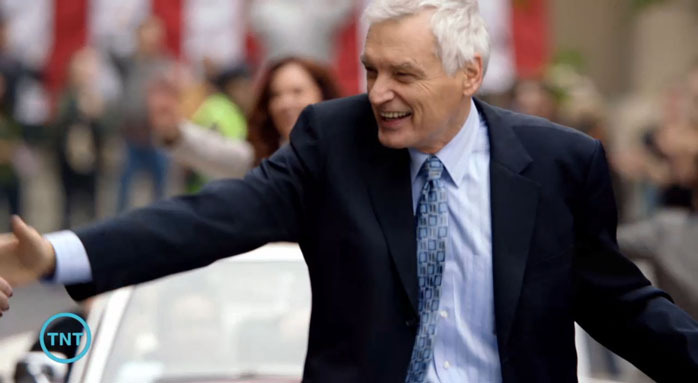 Season 4 of RIZZOLI & ISLES debuted last night, and featured one DAVID SELBY in a prominent role. If you missed it, never fear ... TNT has the episode, titled WE ARE FAMILY, streaming for free on its website. Watch the entire episode for free by clicking HERE. The episode marked an interesting convergence of actors who have played Commissioners named "Gordon" on various BATMAN cartoons. 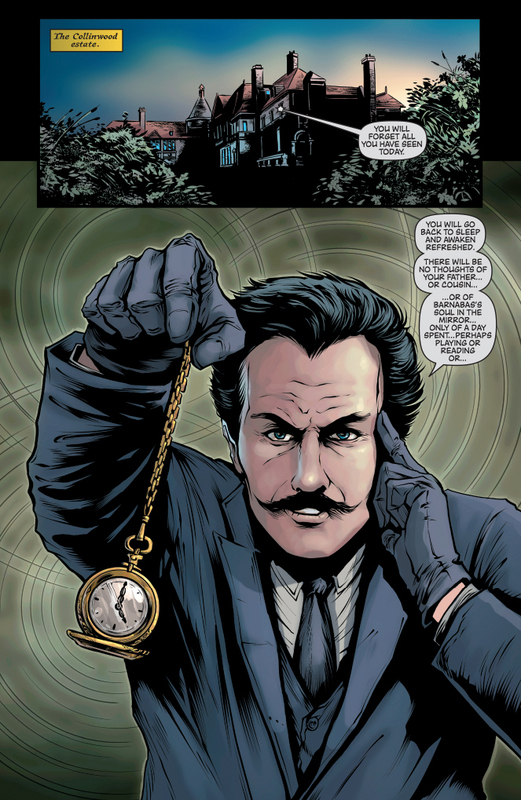 Selby voiced Commissioner James Gordon in the two recent DARK KNIGHT RETURNS animated movies. In 2000, Angie Harmon (one of the stars of RIZZOLI & ISLES) voiced an older Commissioner Barbara Gordon in BATMAN BEYOND: RETURN OF THE JOKER. I mention this because I have a crippling addiction to trivia. Wow, this is disappointing. 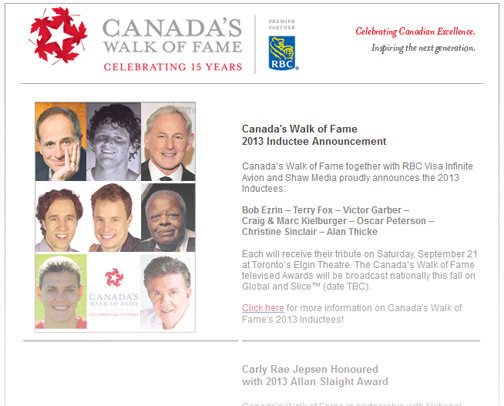 Not just because JONATHAN FRID didn't make the cut for CANADA'S WALK OF FAME this year, but because its board of directors stepped over him to welcome ALAN THICKE into the fold. You know ... the guy who wrote the theme song to DIFF'RENT STROKES and shares some blame for introducing the loathsome KIRK CAMERON to the world. It's not my intention to pick on Alan Thicke, who didn't ask to be put in this position. He's probably a nice guy, and his "Random Roles" interview at THE AV CLUB is a fun read. But c'mon. He's Alan Thicke. He's never been the most popular part of any project he's been involved in. It feels a little hypocritical to lobby for an actor to be recognized by one of these fame-based institutions and then slam said institution when things don't go your way. My contributions to the campaign were meager when compared to the time and effort of others involved. 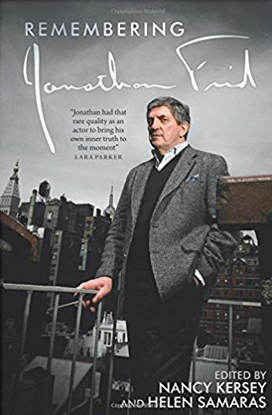 I think Jonathan Frid deserves to be on this list, but there are a ton of political aspects that make his induction a difficult task. No, Alan Thicke and That Guy From Titanic never had their likenesses on board games, puzzles, comicbooks and whatever, but they also never withdrew from their chosen profession (which Frid did for many years.) Also, That Guy From Titanic has tons of recent credits to his name, while Thicke ... well, I really don't know what the hell he's doing these days. Fashion, pragmatism and cronyism play a large part in the selection of these candidates, and it wouldn't be a surprise to find out CANADA'S WALK OF FAME paid zero attention to the write-in votes that were cast. If you want an idea of how strange and weird the CWOF nomination process is, read this 2012 news story about how difficult it was to get PHIL HARTMAN elected. So, Frid didn't make the cut. Should we try again next year? Sure! I met some interesting people throughout the course of the campaign, as I'm sure others did. These connections certainly won't hurt our chances in 2014 if the primemovers behind Frid's campaign decide to do it again. If the CWOF board has permanently stacked the deck against us, the least we can accomplish is to rub their noses in their own corruption. A familiar face arrives in Collinsport in this issue of DARK SHADOWS: YEAR ONE. I've not been following this story, though the idea of revising the "origin" of Barnabas Collins brings with it as many opportunities as pitfalls. While it's refreshing to see the tale move outdoors (and to see the camera removed from its stagebound moorings of the original TV series,) previous attempts to distill the 1795 story have usually missed the point. From the 1991 "revival" series to LARA PARRKER's novel, ANGELIQUE'S DESCENT, whenever the origin story is pared of seemingly unnecessary subplots, the story loses much of its resonance. But that's just my opinion. 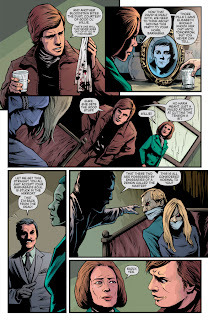 What do you think of DARK SHADOWS: YEAR ONE? 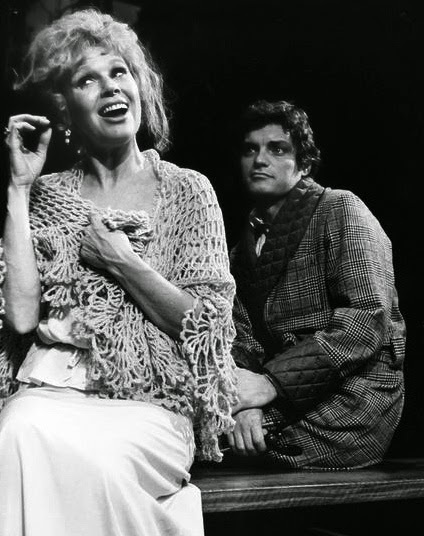 Betsy Palmer and David Selby in the 1976 performance of THE ECCENTRICITIES OF A NIGHTINGALE. THE ECCENTRICITIES OF A NIGHTINGALE was a revised production of a TENNESSEE WILLIAMS play originally titled SUMMER AND SMOKE. If you're familiar with the works of Williams, you can probably guess many of the themes and situations featured in the story: Set in Mississippi in the early 20th century, NIGHTINGALE centers on a tumultuous romance between an unmarried minister's daughter and a roguish young doctor. I'm not familiar with the story, but I expect it ends badly for all involved. New York Times art by Al Herschfeld. The play was adapted at least twice in 1976, once as a TV movie with future Dracula FRANK LANGELLA, and another on Broadway with DAVID SELBY and BETSY PALMER. 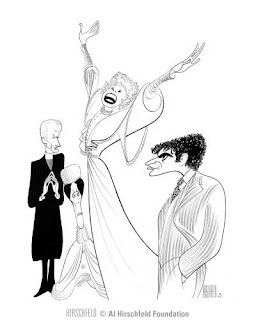 ("It) was the last show that Tennessee Williams had anything to do with while he was still alive, and it was beautiful working with him," Palmer told the website ICONS OF FRIGHT. Even though she has a long and varied acting career that spans several decades, Palmer is probably best known to audiences today as Pamela Vorhees in the original FRIDAY THE 13th. In his book MY SHADOWED PAST, Selby said SUMMER AND SMOKE had been subjected to so many revisions that NIGHTINGALE "was really a new play." "I don't see how you could help loving that man," Selby said of Tennessee Williams. "I did love him. One night in Los Angeles, at the opening of his play OUT CRY, Tennessee greeted me with a big wet kiss on the lips. I returned it -- grateful to have had him, if only briefly, in my life." DAVID SELBY is appearing on stage later today as Abraham Lincoln in the first performance of THE CIVIL WAR at this year's FestivALL event in Charleston, W.Va. It's hardly the first time Selby, a West Virginia native, has played the president. 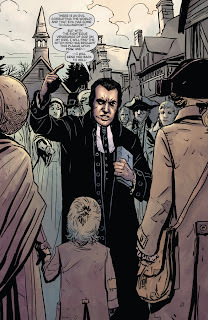 Despite his numerous turns as Richard Channing on FALCON CREST and Quentin Collins on DARK SHADOWS, Selby has been playing the role of Lincoln since before those characters were invented. You can read coverage of Selby's appearance, and see a few promotional photos of the event, in this story from THE CHARLESTON DAILY MAIL. 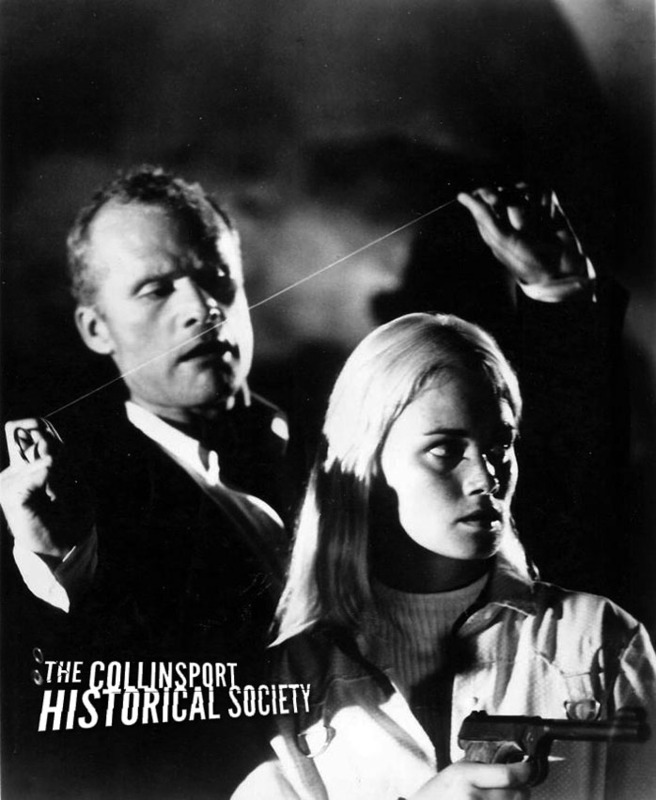 And, if you're new to the Collinsport Historical Society, don't miss this extended interview we did with Selby in Februrary, in which he discusses his long-time fascination with Lincoln. 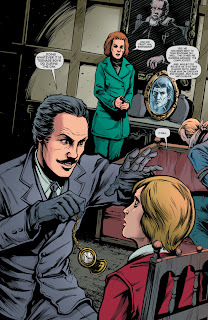 Part II of Con-fusion, the art of crossover fanfiction, concerns the comedic possibilities of combining Dark Shadows with an unrelated work of fiction, drama, TV show. A funny example is Collinsport High, a Mean Girls meme, by Sanpan. It’s short and cute. I recently spoke to Feriku, whom I met on the Drawing Room Forum at Collinsport.net. She started a thread about crossover fanfics and a collection of ideas for zany spoofs. True, she is a writer who has yet to actually author a DS fanfic, but the young lady is a discriminating reader (and successful writer in other categories) and a big fan so I think she will go places once she get out of the starting gate. Feriku is 22 years old with a Bachelor’s of Arts in English and minor in Creative Writing, and about to seriously hone her skills in an intense fiction-writing graduate program. She also does freelance work; one job is a long-term position as the creative writer for a fashion store called Wizards of the West. Instead of standard product descriptions, all of the store’s products are linked together as part of an overarching fantasy story involving powerful wizards, grumpy scientists and dark forces just beginning to show themselves. She has had several works of original fiction published as Samantha Lienhard. 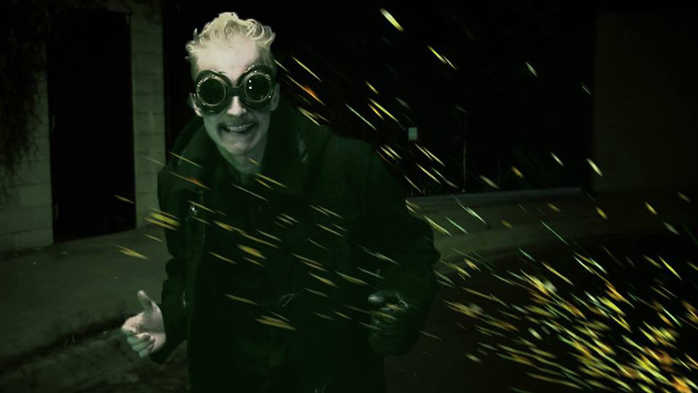 Zombie fans may enjoy Sacreya’s Legacy, a horror serial, starring a zombie detective, which is available online for free! Her resume also includes the short Christmas romance, A Special Present, and a zombie comedy novella, The Accidental Zombie. The author is currently running a contest to give away a free copy of The Accidental Zombie. 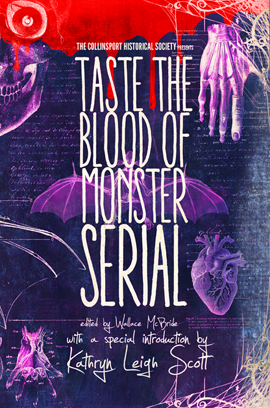 In addition, this summer should see the publication of The Book at Dernier, a Lovecraftian horror serial. Well, that’s all very nice, but how about some Shadows fic? 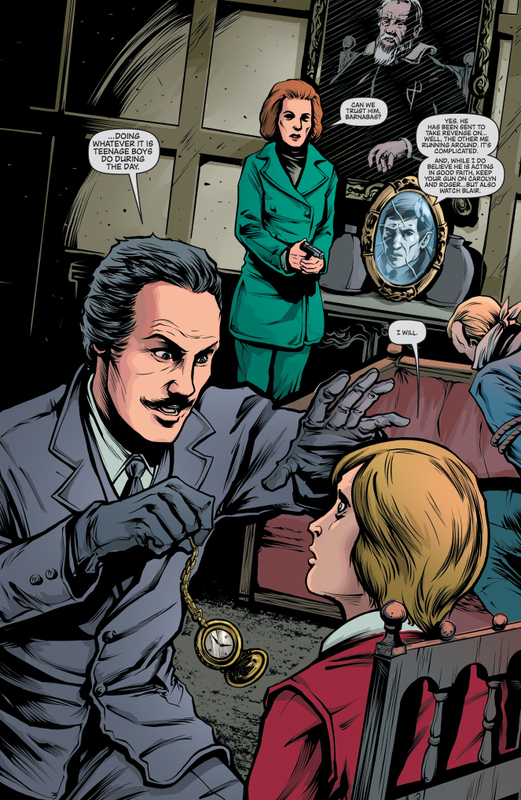 I’m actually a pretty new [Dark Shadows] fan; it’s just over a year now that I’ve been watching it, but the story actually begins a bit before that. I can remember being a little girl listening to my mom tell me about a show that her mom had watched. It was a soap opera, but it had a character who was a vampire, and another who was a werewolf, and there was a witch, too! At the time, I tried to picture all that on a soap opera, and was completely bewildered. The idea didn’t make a lot of sense to me, but I thought it sounded like something I might watch. 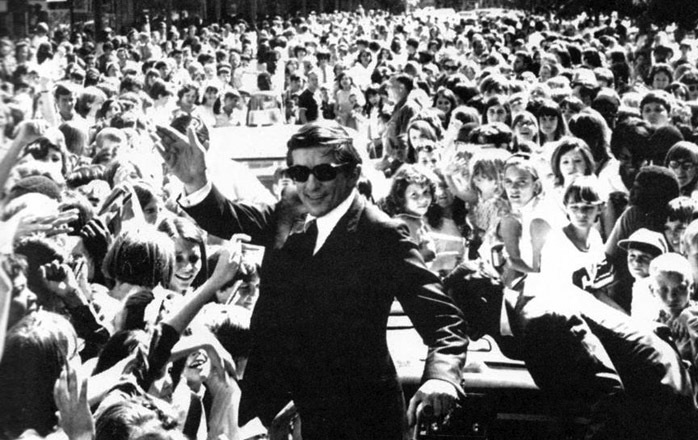 The next time I heard about Dark Shadows was several years ago, after my family had discovered the miracle of iTunes. 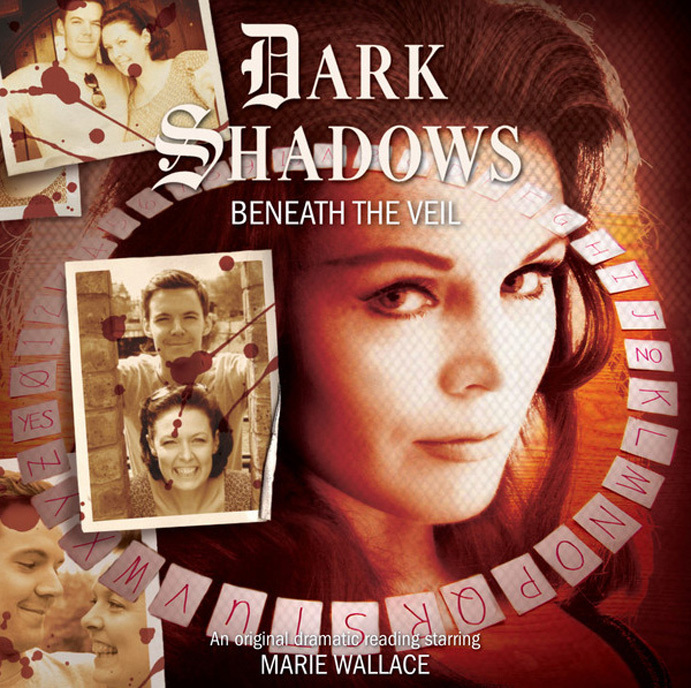 And so, over the years, references to this strange show came up from time to time with no apparent chance of me ever getting to see it, until last May, when I decided to take a gamble and get the Dark Shadows Collection 1 as a Mother’s Day present. I’m not sure how long it took me to become a fan. It might have happened the very moment that Willie’s insane grin turned to a look of utter horror as a hand emerged from the coffin he was hoping to rob. (Somewhere very early on, we went to see the 2012 movie—the less I say about that, the better, although some day I want to write a fanfic about the show’s characters watching it.) As we watched more episodes, I fell hopelessly in love with the show. 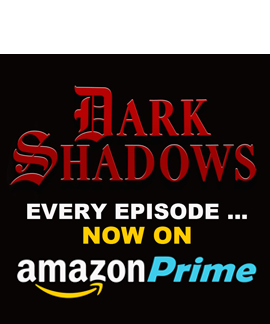 We were getting close to the end of Collection 1 when I convinced my mom that we needed to buy the complete series, and we’ve been watching Dark Shadows ever since! Due to the fact that I’m still not finished watching the show (at this writing, I’m somewhere in the 600s), the first thing that limits my choice of fanfiction to read is its potential for spoilers: is it before or after what I’ve already seen? The only exceptions I’ve made are an unfinished story titled “Monkeewood,” because a crossover between Dark Shadows and The Monkees sounded hilarious, and Ends, an after-the-end-of-the-show Barnabas/Julia story, because I couldn’t resist. I can get a little picky about my choice of stories, after that. If I see an idea that sounds interesting, I’ll take a look at the first page. If it is overloaded with non-canon characters, I won’t read it. If they are acting very out-of-character and it’s not meant to be silly, I won’t read it—or I will seethe for days while resisting the urge to contact the writer and explain to them why their characterization makes me so angry. If the writing is bogged down with spelling errors, grammatical errors and huge walls of text, I won’t read it. 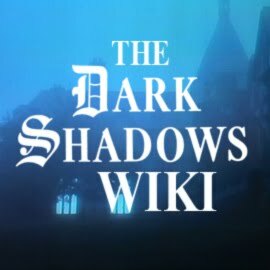 Fanfiction.net (my primary source for stories) does not let you search by character for Dark Shadows, which frustrates me to no end (has no one ever sent them a cast list?). After all, I want to read about my favorite characters: Barnabas, Sarah, Willie, Maggie, Julia… I’ll give odd-sounding plotlines a try; even if some leave me giggling over illogical scenarios and inexplicable plot twists, others keep me more interested than I expected and reading on to the end. 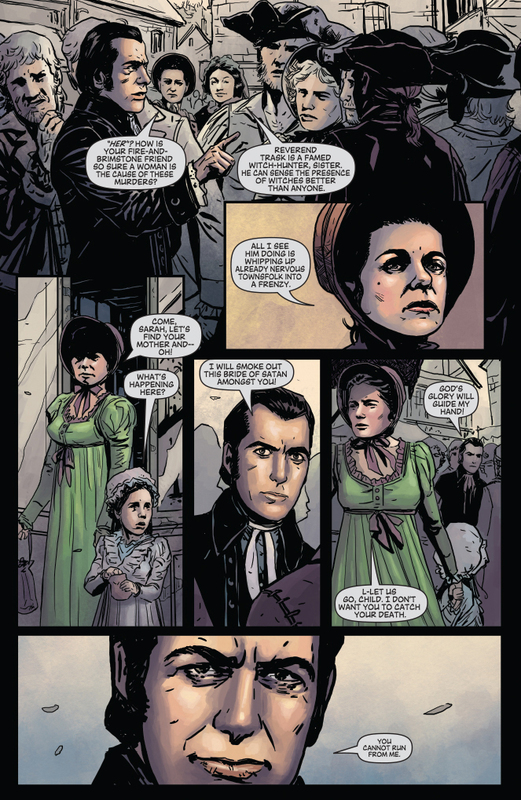 Blood and Jasmines by SweetFaith06 is a good example of one that I looked at just out of bewildered curiosity of how a Barnabas/ Josette/Willie love triangle was even possible, and ended up finishing in the same sitting. 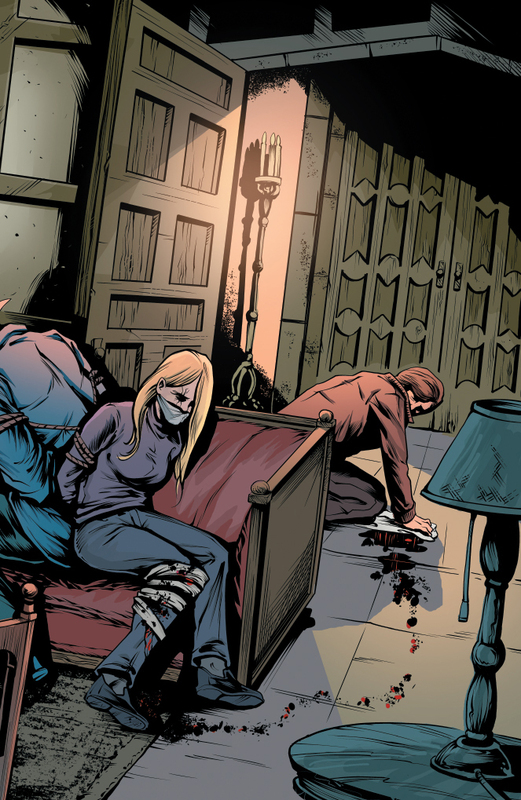 DARK SHADOWS meets THE SILENCE OF THE LAMBS by Diane Tran. Since I have yet to post a single Dark Shadows fanfic, it might sound absurd of me to say that I’m much more into writing fanfiction than reading it, but it’s true—it’s just my current position in the show that has kept me from producing the story ideas dancing around in my brain. Once I finish the show, then I’ll know enough to be able to choose the best setting in the timeline, know exactly what characters to include, know what possible plotlines are invalidated by canon, and be able to do research without fear of spoilers! My fanfiction tends to come in two varieties: serious, developed stories, and utterly insane comedies. I especially like crossovers. It just fascinates me to think of two different worlds and casts of characters coming together, and trying to keep everyone in-character is even more fun when the setting is wildly different. 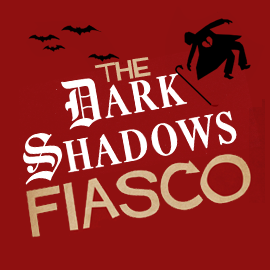 My favorite idea so far for a Dark Shadows fanfic is a crossover with Green Acres. And it will most definitely be a comedy. For anyone unfamiliar with Green Acres, it’s a sitcom from the ’60s about Oliver Douglas, a lawyer who moves from New York with his wife, Lisa, to buy a farm just outside a wacky town called Hooterville. It is utterly surreal, and as far as I’m concerned, that means I can use Hooterville logic to justify just about any crossover. My tentative title for this fanfic is “Who is Josette Collins and What Has She Got to Do With Baseball?” which should give you an idea of how strange it will be. So far, I’ve written one early scene and a handful of excerpts and notes. The streets of the city faded, and they were back in the kitchen. Eb looked at the two of them expectantly. “You vant him to break his promise?” Lisa demanded. “We won’t say a word,” Oliver said. “Yeah, baseball games in Hungary must be something else,” Oliver muttered, glancing sideways at her before returning his attention to Eb. “That makes sense!” Lisa said. “No it doesn’t!” Oliver stared at Eb, wondering if his hired hand had finally gone completely crazy. That’s funny, and it captures the flavor of Green Acres perfectly. I would need to see the entrance of some DS characters by Chapter 2, though. I hope that Feriku will break down and write a Dark Shadows piece soon and stop worrying so much about accuracy. Where I can understand she doesn’t want to contradict canon, most of our favorite fanfics are alternative universe stories that peacefully coexist alongside their original inspirations. The beauty part about fanfiction is to start with a piece of paper, blank except for two words: What if . . . ? Gee whiz, if I worried about real storylines, the Willie Loomis World Series would be less than a paragraph. This DARK SHADOWS/KOLCHAK crossover actually happened. And she’s up the 600s? I’m on #75. True, this is not my first encounter, I watched the show in 1967 and again in 1977, in addition to the paltry offering from streaming Netflix, but today I wouldn’t know a Leviathan if he hit me on the head. So, I don’t write about them. Watching these early episodes is my first foray into pre-Barnabas plotline and, where I would be loath to make a disparaging remark, that vampire ain’t going to show up a minute too soon. No offence to Bill Malloy, bleeder valves and fountain pens everywhere. Did I get distracted again? We were talking about parody crossovers. I have transcribed to paper (well, screen) the lyrics which swam in my head last night: a combination of DS and a song from an Off-Broadway musical based on the Peanuts comic strip. I hope that’s not too obscure, or no more than Sondheim and Shakespeare. Lights up. Julia is sitting behind a large box which serves as a desk. The sign overhead reads “Psychiatric Help.” Below is another sign: "THE DOCTOR IS IN." Barnabas enters. 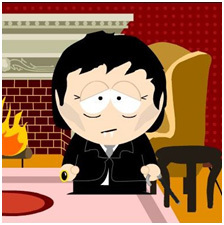 Barnabas:Oh, Julia, I'm so depressed. I don't know what to do. Julia: I'm sorry to hear that, Barnabas. Maybe there's something I can do to help. I think that the best thing would be for you to come out and admit everything that's wrong with you. Barnabas: Do you really think that will help? Who cares if I'm handsome and clever and lucid? So what if I like drinking plasma for dinner? I've always been known for my paranoid mood swings, and kidnapping, choking and killing off extras. But I stand like a stick, or flies land on my face. one fine person so thoroughly, totally, utterly bad as me. Julia: (speaks) Well, that's okay for a starter. Julia: Certainly. You don't think that mentioning these few superficial failings is going to do you any good, do you? Why, Barnabas, you really have to delve. You're stubborn, self-centered and moody. Julia: You're terribly dull to be with. (speaks) Wait a minute, now. Willie likes me. Julia: He only pretends to like you because you beat him. That doesn't count. You're not such a very nice person. Julia: And yet there is reason for hope. No one else but the number one reason our ratings are tops. Barnabas: (speaks) Quite extraordinary. I'm beginning to feel better already. You're a true friend, Julia, a true friend. Julia: That'll be five cents, please. PS: I have been in contact with a friend of John Karlen’s son, Adam, who informed me that Johnny is in the hospital with complications from diabetes. Please keep him in your thoughts or prayers. Love you, JK. 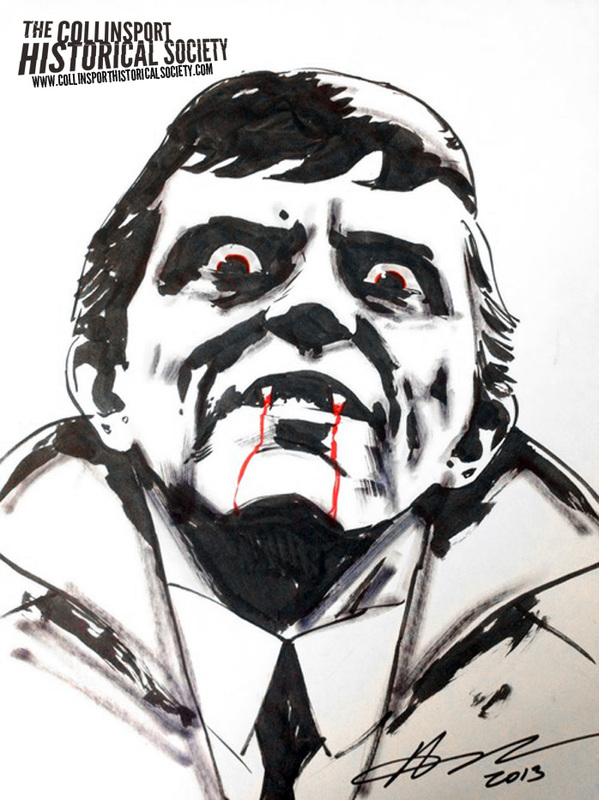 More from my sketchbook: BARNABAS COLLINS by Aaron Campbell, the illustrator of the first three issues of Dynamite's DARK SHADOWS comicbook series. This was drawn at the 2013 HeroesCon in Charlotte, N.C., for those of you keeping score at home. Back in the days before DVD came along, the home video market was fairly unwelcoming to television shows. While DARK SHADOWS and STAR TREK managed to find an audience on VHS, too many shows were relegated to "subscription service" plans from distributors that obliged customers to sign up for expensive video tapes that rarely contained more than two episodes. 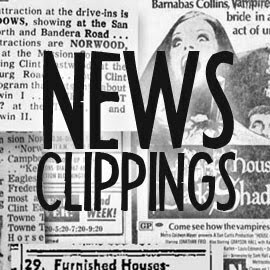 The home video release of the 1990 DARK SHADOWS "revival" series contained only a single episode per tape, and each tape probably cost more than $20. The video at the top of this post allegedly came from one of those VHS tapes: It's a compilation of more than 10 minutes of footage from the pilot for the revival series. Not surprisingly, these scenes do nothing to move the story forward, though they provide a lot more insight into the show's various relationships. There's some good stuff here, even if these scenes (and the decision to excise them) underscore the many problems with the revival series. Strangely, it doesn't appear that these scenes were provided with the DVD release of the series. Amazon's listings show only the word "NONE" in it's list of special features, so my thanks to whoever uploaded this video to Youtube. Well, THIS certainly got my attention. 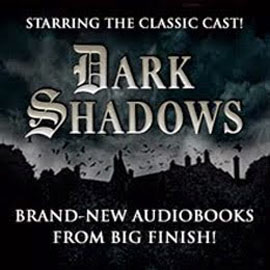 When Big Finish announced the next slate of DARK SHADOWS audio dramas, it appeared they were setting off into uncharted waters. A handful of original cast members were attached to these episodes, but there were also many new names and faces involved. If BF wanted to experiment with the formula by creating new heroes and heroines -- characters free from the shackles of existing continuity -- I was willing to go with them. It would have been a risky venture, for sure, but the company has earned the benefit of the doubt. BENEATH THE VEIL is scheduled to arrive in July. 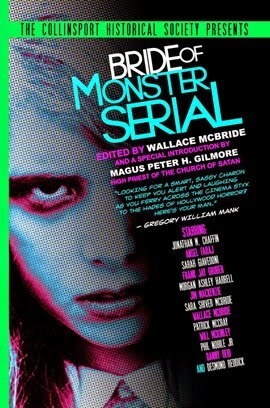 You can listen to an audio trailer for the story at the company's website, and look for an interview here with the episode's author, KYMBERLY ASHMAN, in the coming weeks. 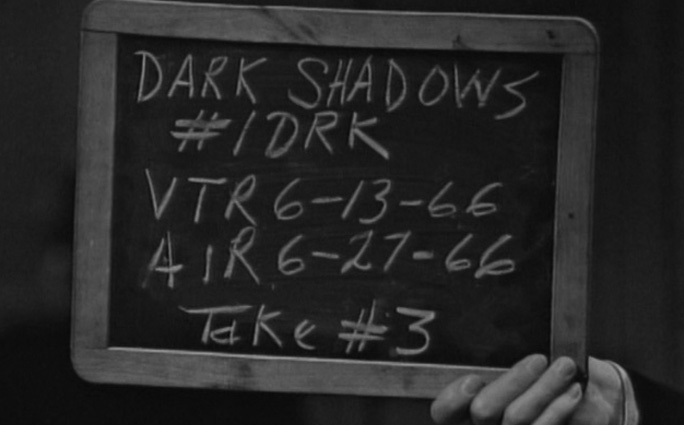 Today marks the 47th anniversary of DARK SHADOWS' first episode, which was shot June 13, 1966. According to the website We Love Soaps, the "pilot" was filmed twice, with the second taping being the one to actually air. KATHRYN LEIGH SCOTT is scheduled to appear at this year's Crypticon Minneapolis in September, joining the likes of Billy Dee Williams, Don Coscarelli and Ted Raimi for the weekend horror convention. 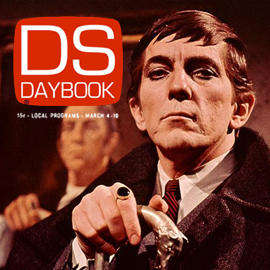 Collinsport Historical Society contributor DAVID-ELIJAH NAHMOD has landed a regular column at Fangoria Online about DARK SHADOWS. Expect to read his first entry June 15. Artist JOHN FEBONIO is auctioning an 11x13 oil painting of JONATHAN FRID as Barnabas Collins. Had I not just blown my budget for art at last weekend's HeroesCon in Charlotte, N.C., I'd be competing for this piece. Sadly, I'm out of the running. If you're looking to add some original art to your collection, though, Febonio's portrait currently stands at $22 on Ebay. The auction ends June 13, 2013. 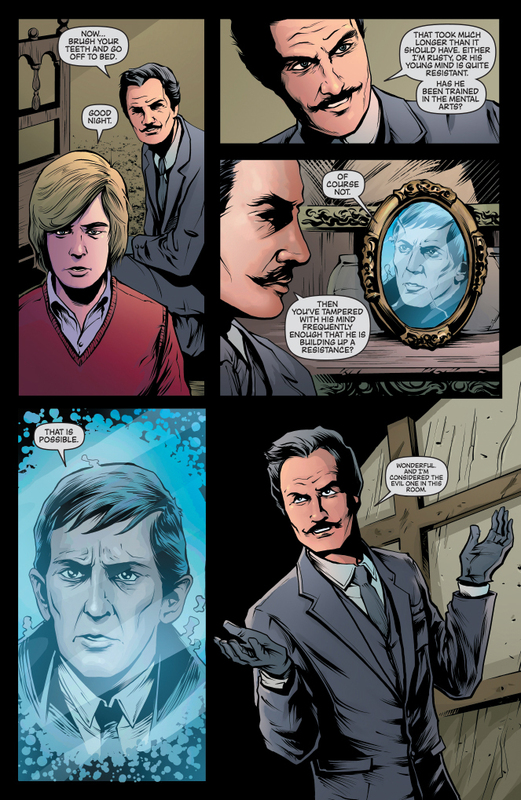 Part of me is beginning to resent how David Collins softened as DARK SHADOWS progressed. I'm not sure there was a future for a character as amoral and damaged as he's depicted in these early episodes, but David presented the kind of lingering conflict rarely seen on television. Having a child that's a psychopath/sociopath is a tragedy that keeps on giving, and this version of David offered an endless opportunity for drama ... even after vampires became common visitors to Collinwood. I'd like to have seen this version of the character grow up and eventually take the reigns of the estate. While he's not actually in this episode, David even makes Roger a more sympathetic, dynamic character. Roger's not wrong in his assessment of the child's menace, even if his lack of compassion for his son is distasteful. In a way, he's to be admired for surviving putting up with the boy's deadly shenanigans for as long as he has. 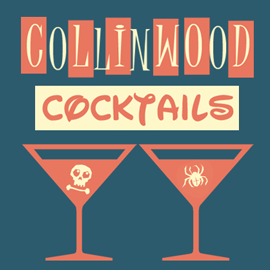 I mean, David Collins is legitimately dangerous. Consider this gem of dialogue, which shows him limply struggling with his own lack of conscience. VICTORIA: "You said, and I think I'm quoting you pretty closely, you said 'I hate you.' You said 'If you die, I won't even come to my funeral.' You said 'I hope you stay in that locked room for the rest of your life.'" DAVID: "Did I say that?" DAVID: "I didn't mean it. Not all of it." VICTORIA: "Really? Which part didn't you mean, David?" DAVID: "Well ... if you died, I would come to your funeral." VICTORIA: "I suppose that's something. Why would you come to my funeral?" DAVID: "Because I like funerals." This kid would have spooked Wednesday Addams. And he's just getting warmed up. 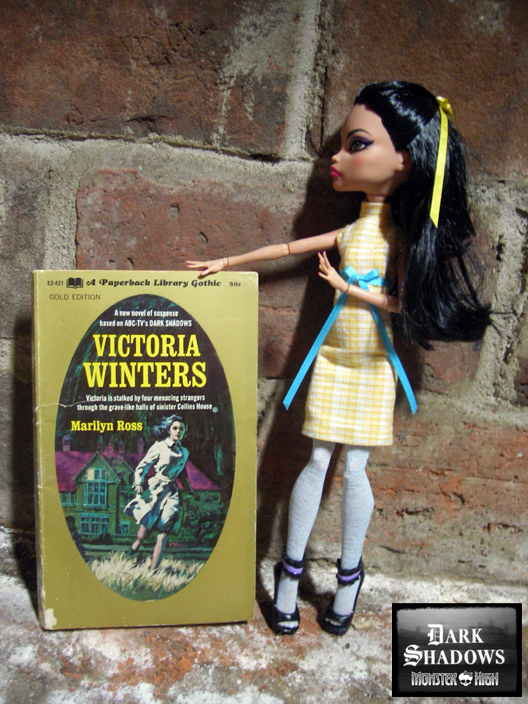 Victoria Winters has wisely decided that her best course of action is to leave Collinwood. Usually, most of the town would have turned out to help her pack. So many people have told her to leave that it would bust the budget to have them all on the same episode: David, Roger, Maggie, Burke, Carolyn ... Bill Malloy actually came back from the dead to tell her to piss off. Just to make things more confusing, many of those same characters lined up in this episode to now ask her to stay. I'm not sure if I admire or pity Victoria's gumption, but both her patience and my own got stretched to the breaking point in this episode. This feature was actually written last Thursday. Just as it was finished, the platform used to create this website momentarily went offline. When it righted itself, this post reverted to the last time I'd saved it, which was less than half-way finished. Now, almost a week later, I've forgotten some of the episode's finer points. 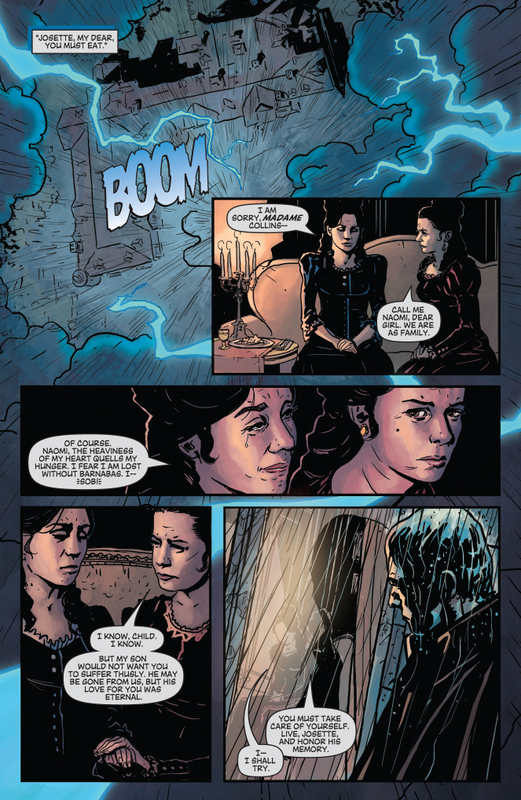 Here are the significant plot beats: For reasons I didn't understand, Carolyn and Victoria went snooping around the West Wing for clues to Victoria's ghostly visitor. 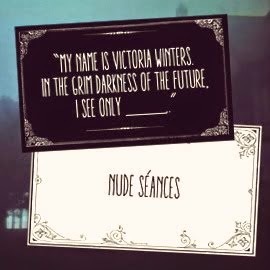 Victoria found a ledger with the name "B. Hanscombe" on it, I made some snarky comments about the show's Scooby Doo-esque habit of running the characters around dead-end plot points and asked the question, "Who would want to steal a clump of old seaweed?" It was brilliant, I assure you. But none of that really compares to the episode-ending revelation about David. Expecting some sort of reward for NOT locking the door to the West Wing while Victoria and Carolyn were away, he makes a desperate plea for the governess to stay. He admits he loves Victoria and storms off, leaving Carolyn more shaken than Victoria. Carolyn says she's only ever heard David admit to loving anything once, and that was a kitten he used to have. A kitten he later drowned. I spent the weekend at the annual HeroesCon in Charlotte, N.C., most of which was devoted to the pursuit of sketches and signatures from the creators in attendance. 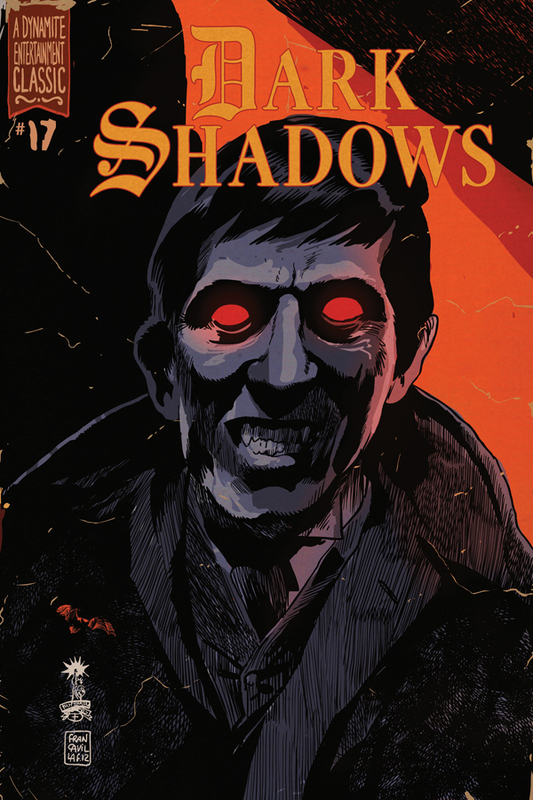 By the end of the weekend, I managed to add a few more DARK SHADOWS themed drawings to my sketchbook, and plan to share them here over the next few weeks. 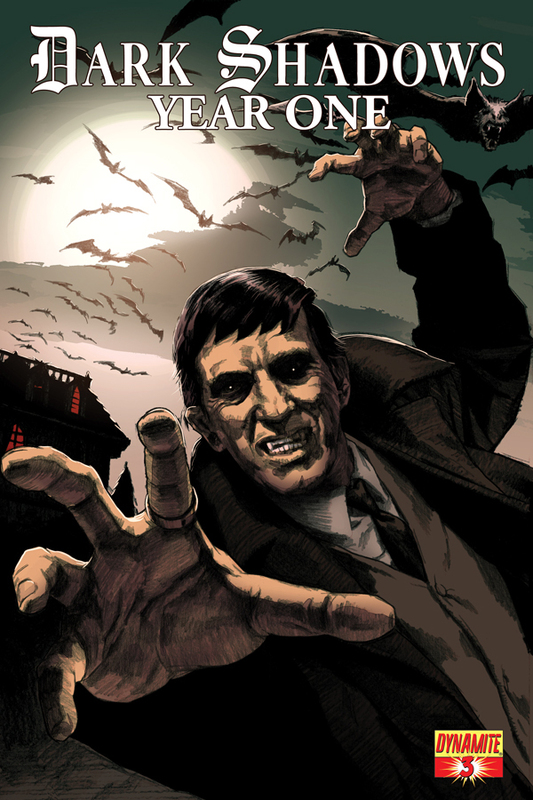 It seemed only proper, though, that I lead off with this beauty: BARNABAS COLLINS by artist Francesco Francavilla. Francavilla won the 2012 Eisner Award for "Best Cover Artist" for his work on DARK SHADOWS, THE LONE RANGER, THE BLACK PANTER and others, and created this sketch of Jonathan Frid for me from memory. 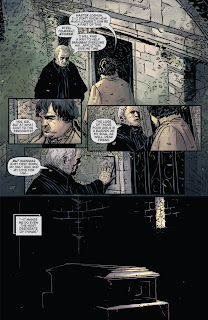 You can see more of Francesco Francavilla's work at his official website, www.francescofrancavilla.com. Man, I miss the days when cereal companies didn't even TRY to hide their product's empty, tooth-rotting tendencies. This might as well be a commercial for crystal meth. While the product's history is fuzzy, Sugar Crisp was eventually renamed "Super Sugar Crisp" before settling on the more benign "Golden Crisp." 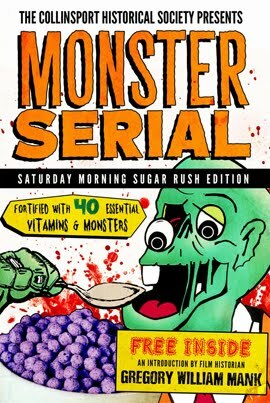 Not to be outdone, Kellogg's sold pretty much the same product under the William S. Burroughs sounding name of "Sugar Smacks." Now the phrase "Naked Lunchables" has appeared in my head and I'm trying to not imagine what that product might be like. But I digress. Those of you with sharp eyes will recognize a very young SHARON SMYTH LENTZ in the commercial above. 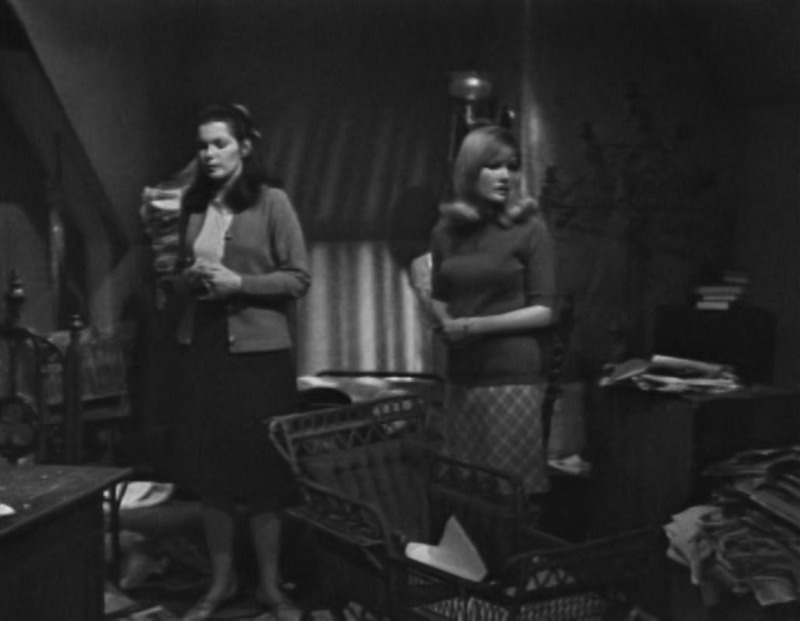 This was a few years before her stint on DARK SHADOWS as Sarah Collins. There's some speculation on Youtube about the identity of the actor playing "Big Kid" in the commercial, but it's possible it might be the late JEFF CONAWAY of TAXI. 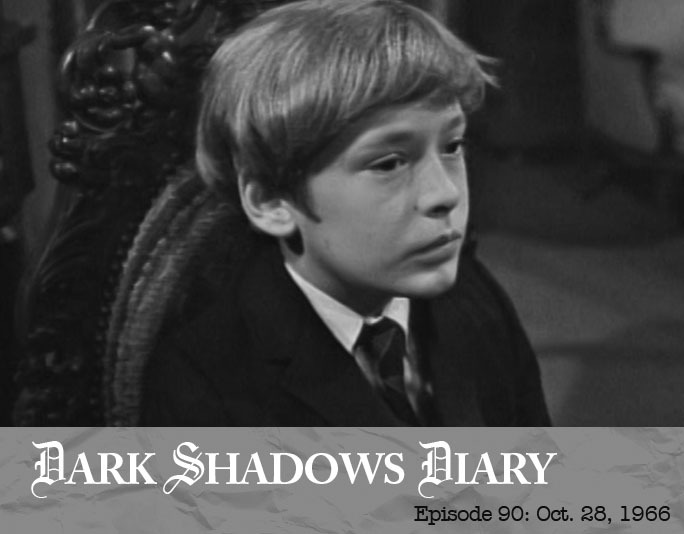 So, I was in the process of writing up Episode 90 for the DARK SHADOWS DIARY when Blogger went kaput. The site wasn't down long, but I lost half the post before the ship righted itself. I'm going to be away for a few days as I get my nerd on at a comic convention, but wanted to share a few images before I go. 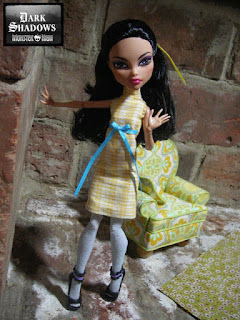 These are customized MONSTER HIGH dolls from the Flickr feed of one MILKY MIXER. 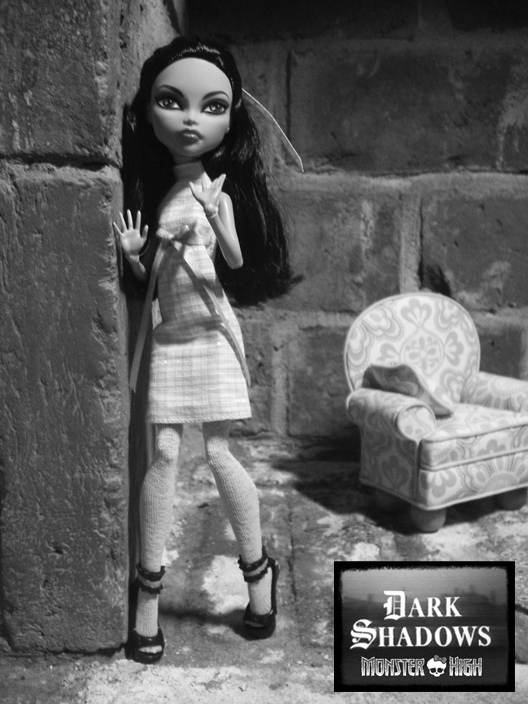 They're just one more reminder of how we haven't gotten any stylish, fun DARK SHADOWS toys in a while. 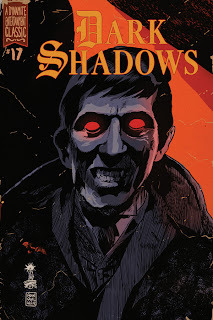 It's been a while since I've read any of Dynamite Entertainment's DARK SHADOWS books. Last year's Vampirella crossover was soul-crushingly terrible, and the fast decline of the regular title only seemed better by comparison. But, time heals all wounds, and I have to admit a certain morbid curiosity about what's been happening in the series since I abandoned it like so much Eli Wallach. Dynamite has released a preview of the latest issue of the series, which you can see below. Looks like Nicholas Blair is back, which is cool. I guess. It's difficult to work up much enthusiasm for the book after being burned so many times in the past. What are your thoughts?